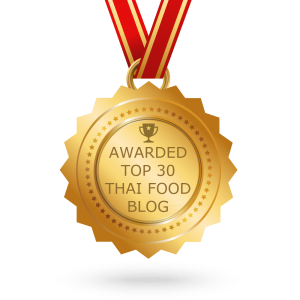 Thai food is well known for its wide array of flavors, colors, and textures, as well as for its numerous healthy dishes. From a simple Tom Yum soup, to a complex Duck Pad Thai, the abundance of flavor and variations makes Thai food a never ending adventure. We love helping our customers navigate our menu and explore new foods. Today we want to focus on the colorful curries you will find on our Thai food menu. We hope that when you are looking for places to eat in Hopatcong, you will stop by our restaurant and give our delectable dishes a try. 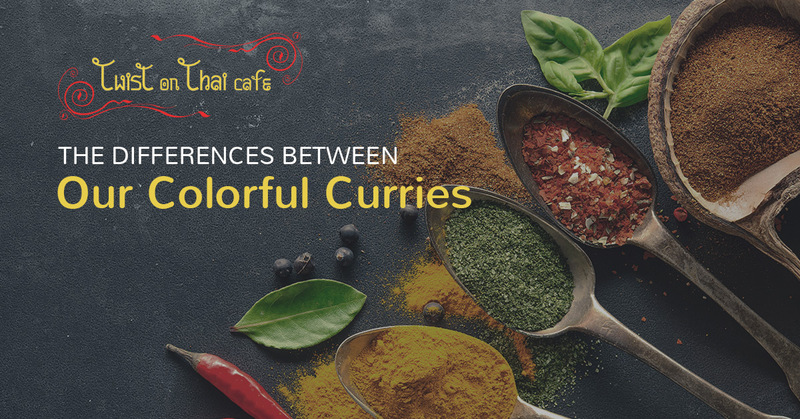 Learn more below about the differences between our colorful curries. Many curries are known by their color alone. However, mussaman curry comes with a unique name. Don’t let this strange name scare you away. Our mussaman curry is a mild curry with a nutty flavor and low spice profile. This curry is influenced by Indian, Persian, and Malaysian cultures. Our mussaman curry features creamy coconut milk with bell peppers, potatoes, carrots, broccoli, and peanuts. For those who want a curry with a little more spice, our pineapple curry is a perfect fit. This medium spicy red curry is simmered in creamy coconut milk and paired with carrots, broccoli, bell peppers, and chunks of sweet pineapple. The sweetness of the pineapple helps to cut the spice of the red curry paste. Similar to our pineapple curry, this dish is made with a medium spicy red curry paste that is simmered in creamy coconut milk. Red curry paste is created through a combination of delectable ingredients including red chili peppers, garlic, shallots, shrimp paste, salt, kaffir lime peels, coriander roots and seeds, cumin seeds, and lemongrass to name a few. This dish features bell peppers, carrots, broccoli, bamboo shoots, and our signature sweet Thai basil. For those who prefer to kick things up a notch (or two), our green curry is a must try. This dish is created using our spiciest green curry paste simmered in coconut milk. The curry features an array of healthy veggies including bell peppers, broccoli, carrots, and bamboo shoots. Our sweet Thai basil helps to create the uniquely satisfying flavor this green curry is known for. After choosing one of our colorful curries, you will be asked to choose what protein you would like to pair the dish with including tofu and veggies, chicken, beef, or shrimp. Our curries are all served with Jasmine white rice. 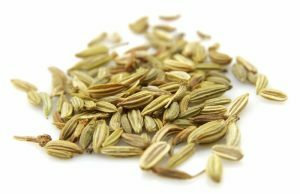 If you wish to make your meal even healthier, ask for Jasmine brown rice for a small additional fee. If our curry dishes have your mouth salivating, make a visit to our Thai restaurant today. We have carefully crafted each item on our menu and we are proud of the delectable curries we serve. Feel free to enjoy our curries dining in or call ahead for Thai takeout. We hope to see you soon as you search for the best places to eat in Hopatcong.